Click here for my SeekersGuidance blog post on the Purification of The Heart lecture by Shaykh Yahya Rhodus. The venue was quite full by the time the Shaykh arrived after being stuck in traffic. From speaking to the locals here, I get the impression that the traffic jams in KL are almost a force of nature! Shaykh Yahya requested that we start off the night with Qasidahs – Qad Kafani and Ya Allimal Sirri Minna. There was an English Qasidah too, led by Shaykh Yahya, but I don’t remember the title. Qasidahs are jam-packed with deep, spiritual meanings and there’s something soothing and healing in them, even if you’re not entirely sure of the meaning. Click here for one of my favourite recitations of Qad Kafani, by Shaykh Abdul Hakim Murad. Listening to Shaykh Yahya’s talk really reminded me about how important it is for me to make this a conscious, daily effort to purify my heart. It’s so easy to get caught up in the lull and rush of daily life. I especially appreciated his five practical tips because it’s one thing to be inspired in a talk, but it’s another matter to put what I learned into practice, for the rest of my life. These practical tips are relevant to Muslims across all walks of life. You could be a doctor in Africa, a writer in America, or a politician in Turkey – your heart will benefit from nourishment and polishing. SubhanAllah. No matter where you are in your life and whatever state you find yourself in, there is always goodness in turning your heart to Allah. 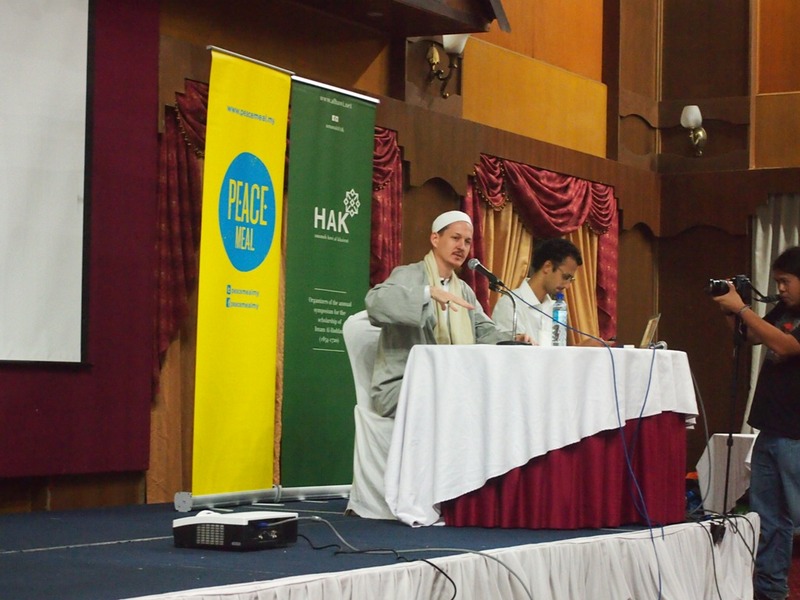 Does anyone have their notes from Imam Afroz Ali’s talk on Friday? I’d appreciate it if you can drop me a line on my blog. Thanks in advance! In other news, I’ve come across some fantastic notes by Sister Shagufta Pasta about the “Exploring the Qur’an with Shaykh Yahya Rhodus” series. Jazakillah khayr Sis Shagufta, for the reminders.